How blood flows within the skin plays a significant role in the appearance of your complexion. Dull skin has a number of causes, with poor circulation being the most common. The condition of a complexion originates from the blood flowing in the dermic (inner tissue) layer’s capillary vessels showing up through the skin. 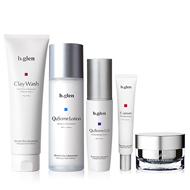 If you have good circulation, then your complexion and skin tone will look healthy and radiant. If circulation is poor, you can have a pale and dull complexion. Also, if skin is dry or dehydrated, this can cause dullness. Choosing the proper skincare is important. Using creams or lotions that are not for your specific skin type, or using too much of a product, can cause dullness. A yellow-toned dullness can be caused by excessive sugar consumption (attaching to proteins in the skin), aging, and UV rays. 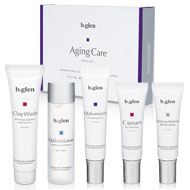 Support the skin's foundation while maintaining good circulation. Support the skin’s foundation by helping prevent further damage to the dermis, the inner layer of skin, by reducing exposure to and protecting it from harmful UV rays. Protection, combined with daily moisturizing, will boost circulation and nourish the skin. Regular facial massage is also essential for circulation, blood flow and to maintain skin strength and can also appear to lift and tighten the skin. It is important to massage all facial areas including neck, throat and even behind the ears. Removes dirt while also providing lasting moisture. Massage skin to improve circulation and help lift and tighten. 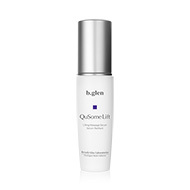 Lock in crucial moisture, to help strengthen barrier function and keep skin hydrated. This collection include products that focus on diminishing the appearance of sagging skin and smile lines, helping to light and tighten, while making large pores appear less noticeabe. Follow this daily skincare regimen, in the AM and PM, for healthier-looking skin. Concentrated serum, to be massaged into skin. Leaves skin looking refreshing and lifted. A combination of ingredients effectively fight signs of aging by diminishing the appearance of skin sagging, helping it appear firmer and younger-looking. Soften the appearance of sagging skin and laugh lines. Enhance appearance of contours with daily care and massage.